performance of the cooling towers. 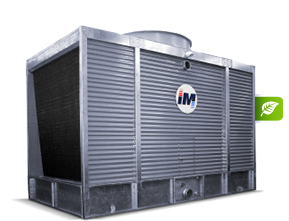 Industry is currently striving to control and reduce the amount of water used in cooling systems. 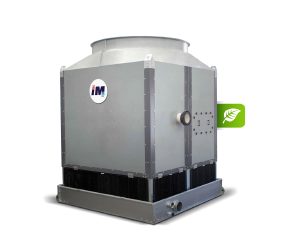 Therefore, IM has developed and innovated in the technology and design of its cooling towers, so as to incorporate consumption control systems. Our search for sustainable solutions to meet this requirement is ongoing. 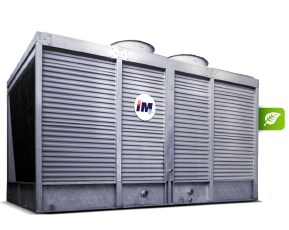 The main advantage of IM towers is the energy that they save while in operation. Thanks to our intelligent control system, the equipment operates in modulation with regard to the thermal load and optimizes the energy needed, and also constantly monitors consumption during operation. We select and use the best material available for building in view of the functions the equipment carries out and the environment in which it operates. Our equipment has a specific maintenance schedule performed by our staff that specializes in each component. This guarantees optimum operating conditions and high efficiency, thereby extending the operating life of all equipment.